Mr. Ridenour is an automotive engineer who has devoted more than 40 years to the design and development of automotive crash safety. 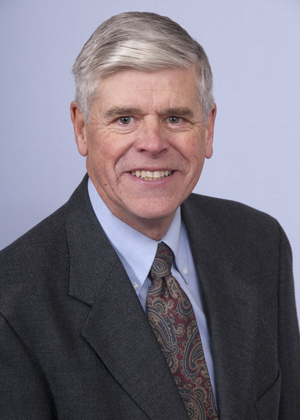 Mr. Ridenour earned a BS Mechanical Engineering, 1970, and MBA, 1971, degrees from Michigan State University and in 2001 a MS in Biomedical Engineering from Wayne State University.He is a licensed Professional Engineer and an Accredited Traffic Accident Reconstructionist. During his 37 year career at Ford Motor Company, he worked in a variety of positions in vehicle engineering and safety including Chassis Design Engineer, Car and Powertrain Product Planner, Design Analysis Engineer, Manager Accident Reconstruction and Testing, Manager Design Analysis concluding as Chief Engineer Vehicle Safety.In his endeavors to improve automotive safety, he has evaluated automotive vehicle performance in collisions, crash tests as well as real world accidents.He has investigated accidents, from Alaska to Puerto Rico, in South America and in Europe.His career has taken him across the country where he has testified in product liability lawsuits as the spokesperson of Ford and as an expert in accident reconstruction, fire investigation, automotive engineering and a wide variety of crash safety topics.Since leaving Ford in 2008, he offers automotive safety consulting services through Ridenour Engineering, PLLC to auto, truck and insurance companies, as well as government entities. In addition, he shares his insights through his various positions in SAE committees and as a peer reviewer for SAE papers. Since 2001, he has been a popular guest lecturer in Wayne State's Department of Biomedical Engineering were he currently teaches BME 6130 Accident Reconstruction and Analysis.